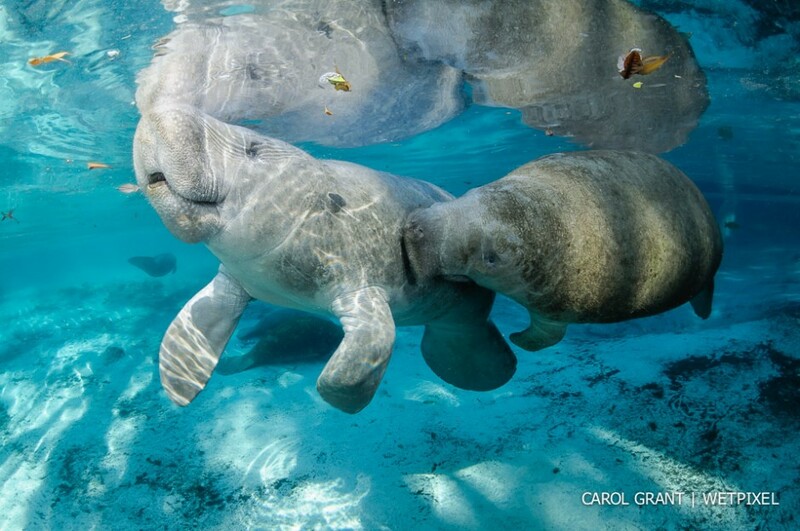 Editor's note: This article originally appeared on WetPixel Full Frame and has been reposted with permission. 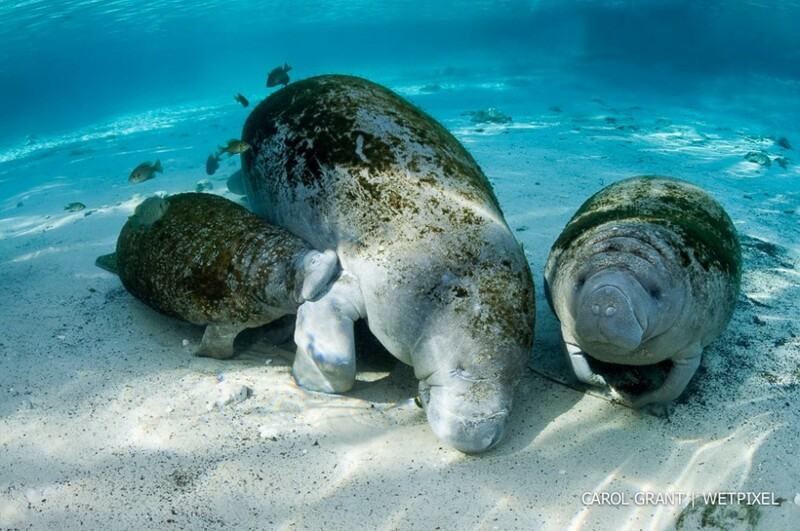 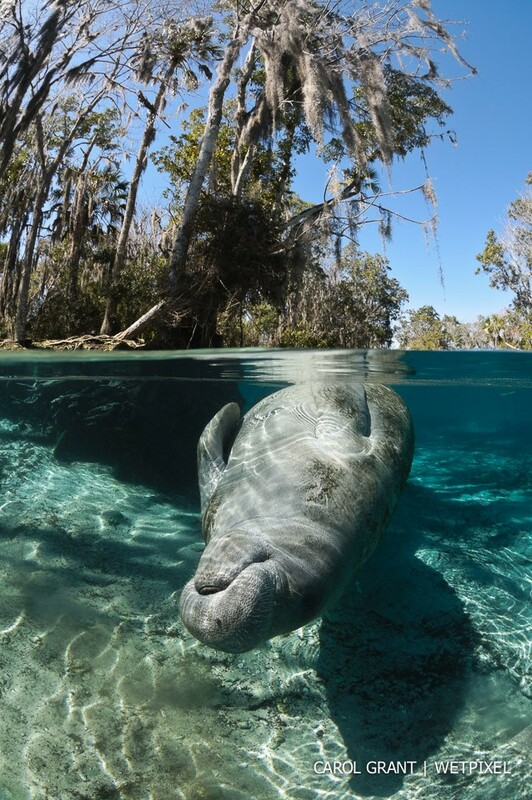 Float peacefully in Three Sisters Springs and you may be lucky enough to peer into the deep, dark, soulful, all-knowing eye of a real Siren, the Florida manatee. 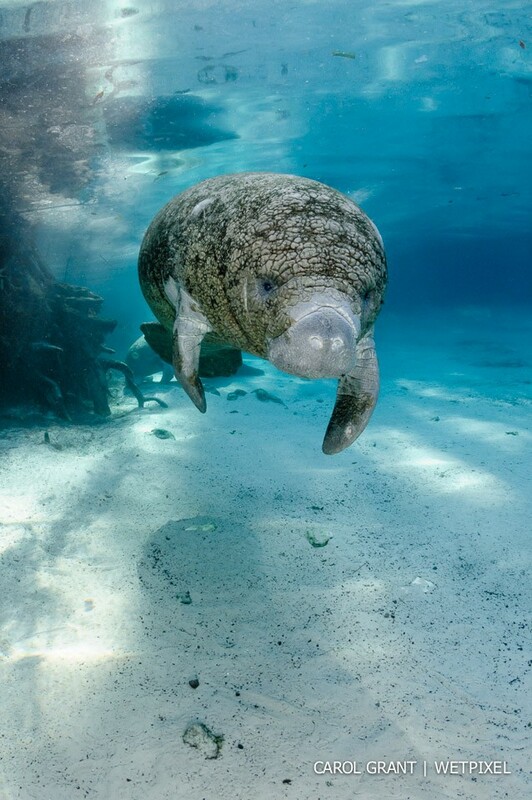 Though they ranged far and wide for over 50 million years, sirenians like manatees and dugongs (a manatee-like animal with a fluked tail) are now largely endangered and can be found only in small, isolated populations. 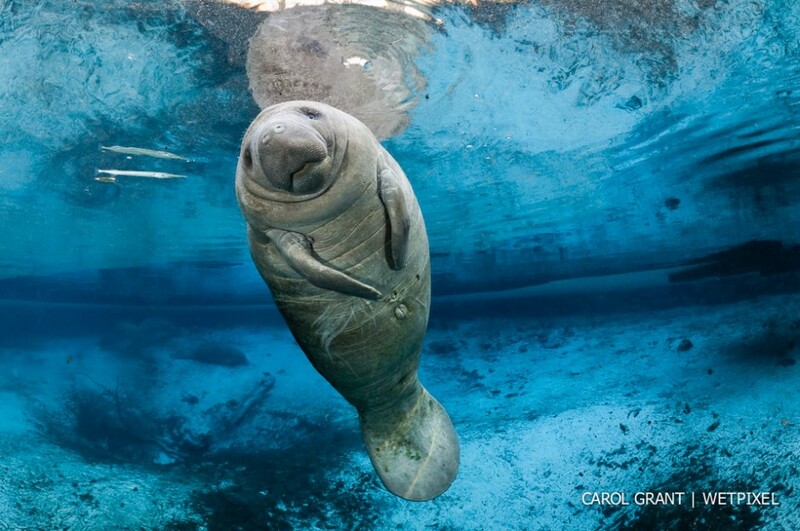 "Today we are privileged to be able to observe manatees in their natural winter retreat," says photographer Carol Grant, who frequents the springs. 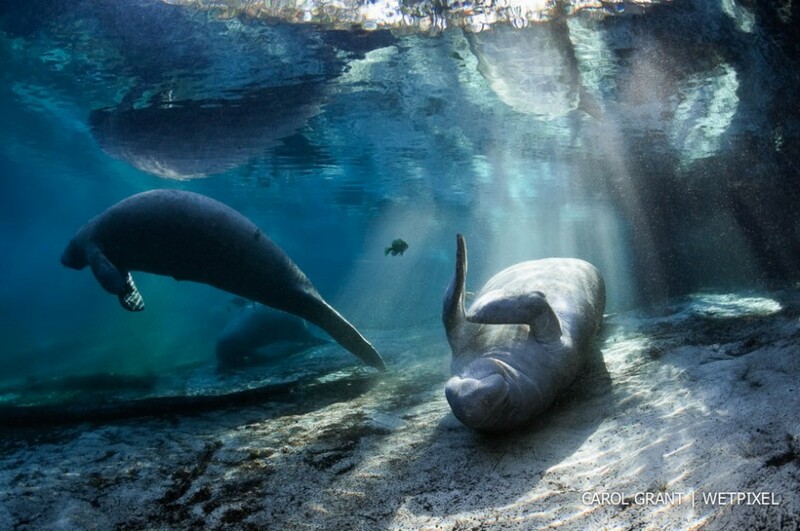 "Sirenians embody a sense of mystery, especially when showcased in the exquisite beauty of the freshwater springs. 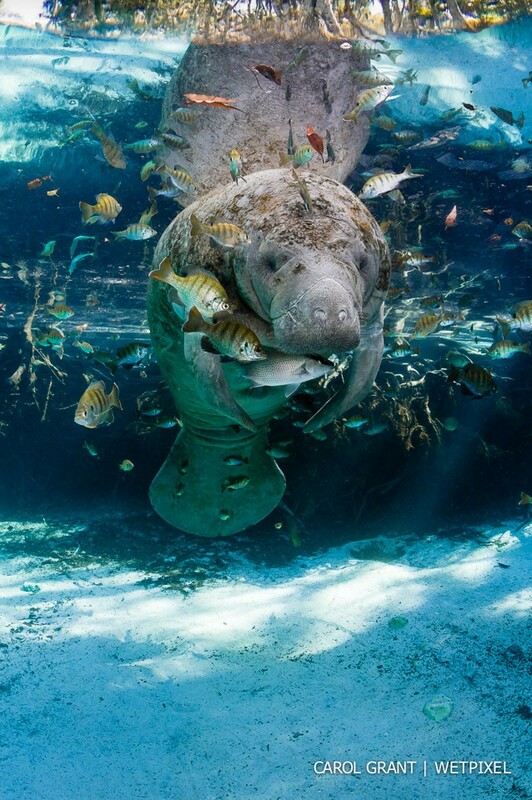 The light dancing through tree foliage and casting ever changing rainbow hues around the manatees underwater is a photographic experience like no other. 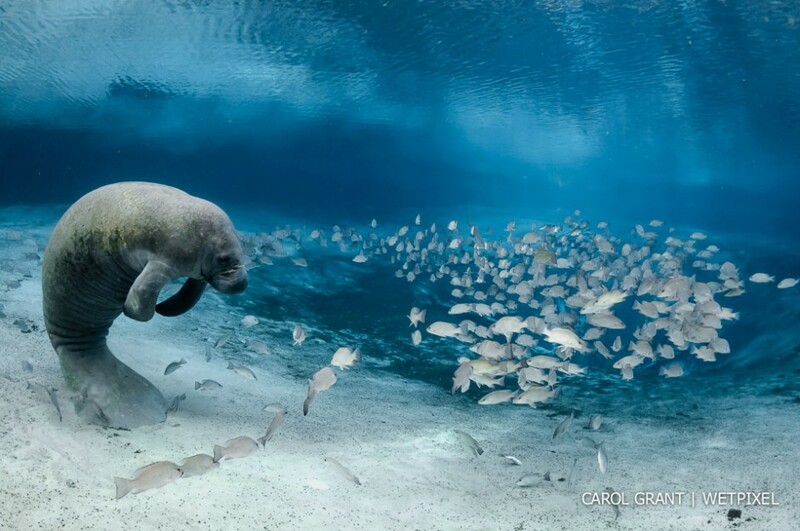 The beauty and peaceful feeling of a time gone by is what keeps me coming back. 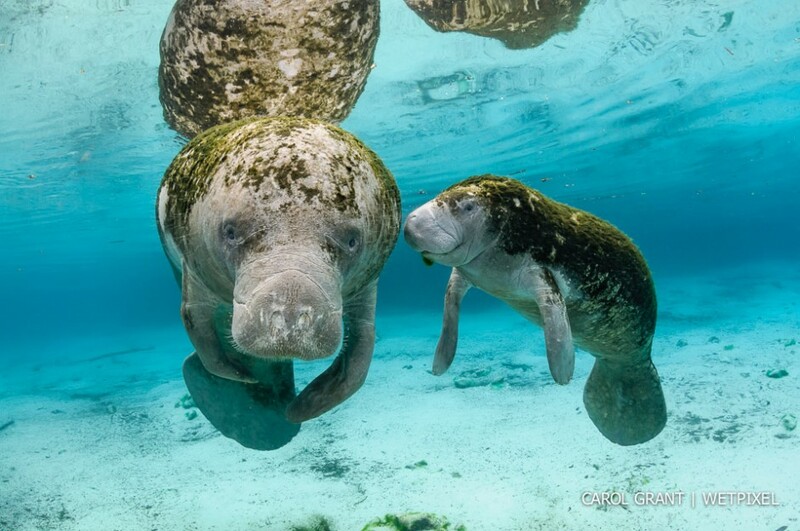 I find it touching that manatees are extremely gentle marine mammals in a somewhat harsh and mechanised modern world. 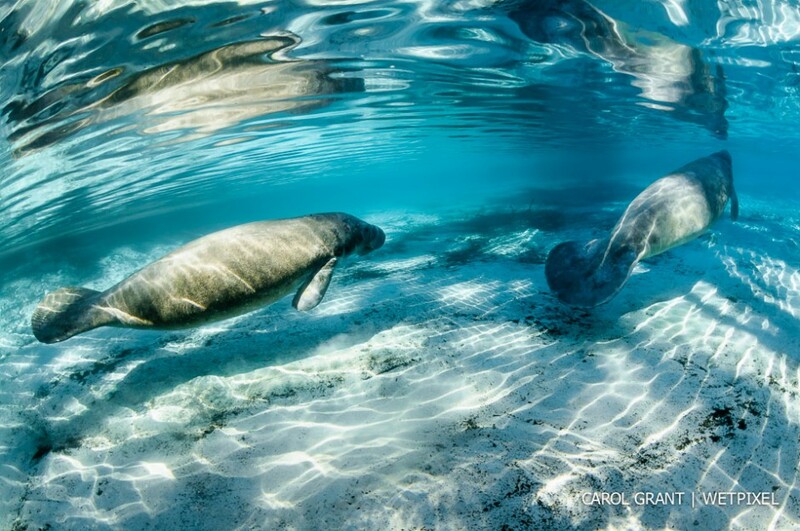 I want to lend them a hand by telling their story." 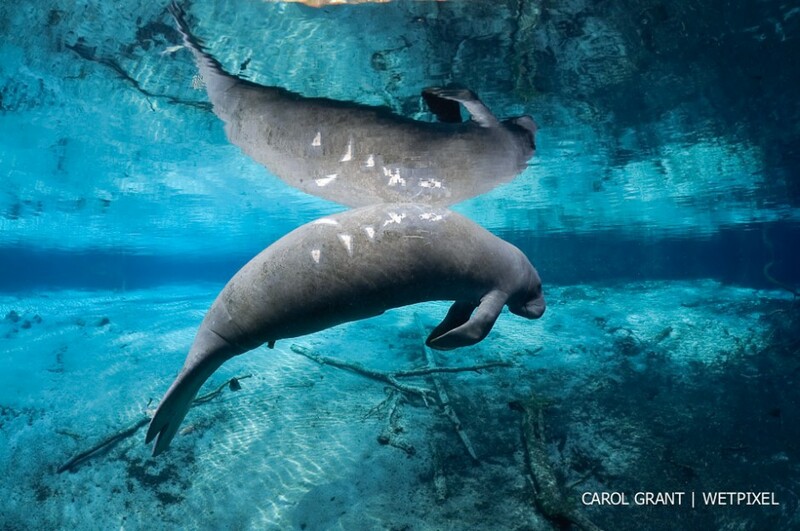 For more of Grant's stunning photographs of these iconic animals, and a personal account of her experiences, visit her website and blog!